Logic Hop Redirects allow you to redirect visitors from specific pages and posts to any URL based on Logic Hop Conditions. Creating and managing Redirect with Logic Hop is similar to creating posts with WordPress. Congratulations! Your Redirect is now ready for use. Multiple redirects can be created for a single page. In the event multiple conditions are evaluated as true, the first successful redirect will be performed. Redirects are processed before the page/post template loads and are instantaneous. 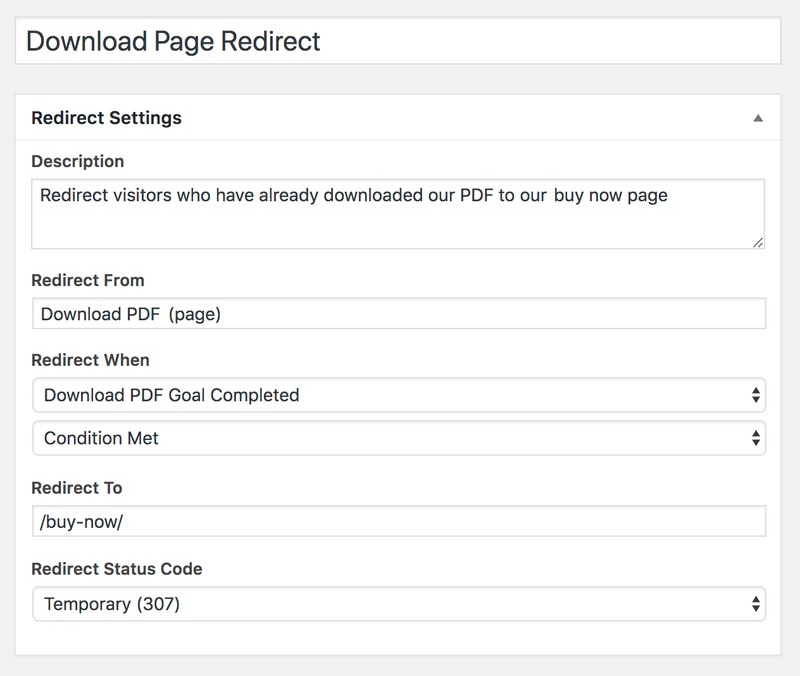 Click Redirect under the Logic Hop menu in your WordPress Dashboard. Click Trash under the title of the Redirect you want to delete.